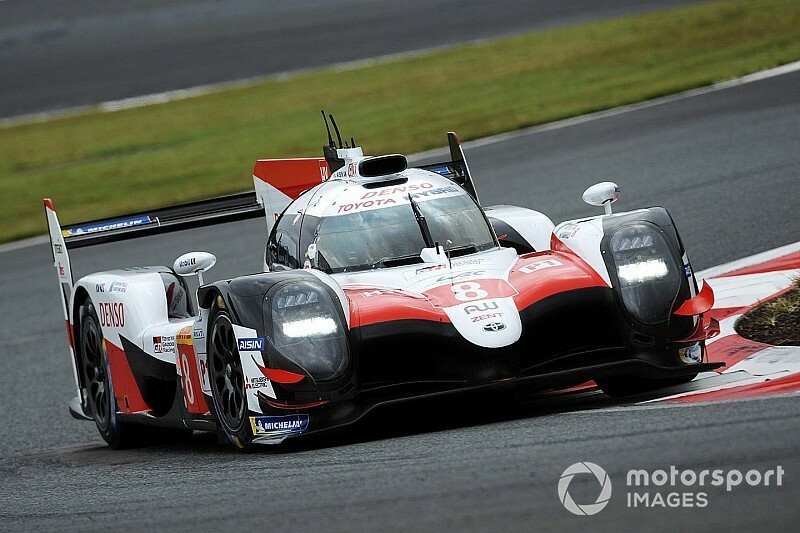 Toyota set the pace in the opening practice session for this weekend's WEC 6 Hours of Fuji that was interrupted by a lengthy red-flag period. 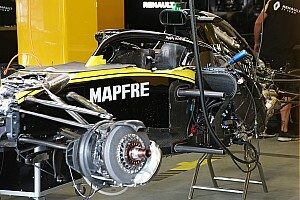 The 90-minute session was halted with one hour and 12 minutes to go due to debris on the main straight, with officials then taking the chance to repair a loose kerb. That meant a delay of 32 minutes before the session resumed, and a 30-minute extension to the morning's running was announced shortly afterwards. Up to that point, the fastest time was a 1m25.847s by Buemi in the #8 Toyota TS050 Hybrid, which was 0.534 seconds quicker than Kamui Kobayashi's best effort in the sister #7 car. Neither of the Toyotas registered an improvement after the red flag, with Fernando Alonso taking over the #8 from Buemi but not beating the Swiss driver's time. Leading the privateer charge was SMP Racing, as Jenson Button set a succession of personal best laps after the resumption of the session to take third in the #11 BR Engineering BR1-AER. The 2009 Formula 1 champion's best time of 1m26.890s was fractionally more than a second off the pace, although the car appeared to suffer a brake problem in Vitaly Petrov's hands later in the session. Rebellion Racing was fourth and fifth with its pair of Gibson-powered R-13s, with Neel Jani in the #1 machine leading Mathias Beche in the #3 car, which took victory at Silverstone after Toyota's double exclusion. Stephane Sarrazin put the #17 SMP BR1 in sixth ahead of the customer DragonSpeed BR1-Gibson, while the solo ByKolles ENSO CLM P1/01-Nissan rounded out the LMP1 order. 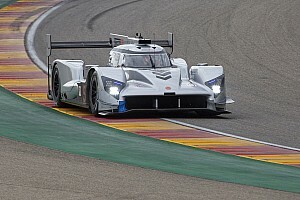 TDS Racing's Matthieu Vaxiviere set the quickest time in the LMP2 class, a 1m30.360s, to go a quarter of a second faster than Stephane Richelmi in the quicker of the Jota Sport-run Jackie Chan DC Racing Orecas. Toyota LMP1 reserve Anthony Davidson was third-quickest in the #31 DragonSpeed Oreca. 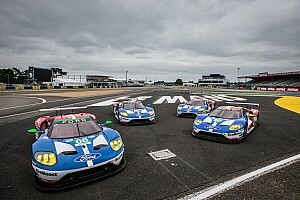 GTE Pro was led by Ford, despite a recent Balance of Performance change aimed at slowing the Ganassi-run GTs and the Porsche 911 RSR. Stefan Mucke set the best time in the #66 car, followed by the #91 Porsche of Gianmaria Bruni and the #92 machine of Michael Christensen. 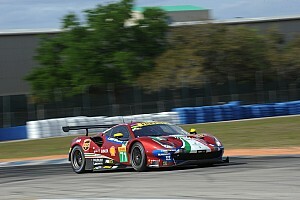 Ferrari, whose 488 GTE Evo was not affected by the latest round of BoP changes, was best of the rest in fifth behind the second of the Fords thanks to a late improvement by James Calado in the #51 car. Aston Martin's top Vantage GTE was sixth, one place ahead of the leading BMW M8 GTE. Porsche led the way in GTE Am for much of the session after an early flyer from Dempsey-Proton driver Matt Campbell, but he was beaten in the closing stages by works Aston Martin driver Pedro Lamy's lap of 1m39.763s.